Another Post from the Past, but it's a good one so I hope you don't mind. 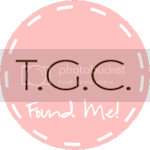 This post has been very popular around the net for 2 solid years, so I thought I'd freshen it up and repost just in time for those Christmas craft sessions. I spent several hours making these charming little tree ornaments last night. I was so pleased with the way they turned out that I wanted to share with you how to make some of your own. These would be great for most anybody on your list, the seamstress, the crafter, or even yourself. I happened upon a bundle of vintage wooden spools in an antique store a while back and have been saving them for the perfect project. So, taking a cue from a photo I once saw of some paper covered spools, and adding my own spin, I fashioned these great little ornaments for the tree. I suppose these could also be used as a tassel. Ohhh, imagine these hanging off the knobs on the cabinets in your work space! First you'll need to gather all of your supplies. Don't be caught needing something in the middle of your project. If you can't find vintage wooden spools, you can buy some smaller wooden ones in the unfinished wood section of your craft local store. Drill and a very small bit, about 1/8"
Clear Drying Craft Glue, be sure that it's a good one, and it MUST dry clear. For those of you that use E6000, it will yellow over time. Don't use hot glue for this project, not even high melt. It will separate over time also. The wood is not pourous enough to support it well. Measure all of your spools for the width and length you'll be covering up. Lay out your papers, mark your measurements, and start cutting. Since your spools will most likely be different sizes, you'll want to number them. Put your number in the middle of the spool since you won't be painting over that part. Cut your papers and number them as well. This way you won't get confused as to which paper goes to which spool. Once you have all of your papers cut, and your spools and papers numbered, set the papers aside. It's time to paint your spools and dowel caps. Gather a few colors that match your fabrics. You only need to paint the ends and a little way into edge. Hold the middle while you paint both ends. After you paint each one, thread it onto a small wire so that the paint isn't touching anything while it dries. I use one of those 24" needles for things like this. Before you paint your dowel caps, you'll need to drill a small hole in the top. Turn them upside down, grip them in the circular part of a pair of pliers, and drill softly through them into a piece of wood. Since these are a bit tricky to paint, I put my tweezers through the hole from the top and paint them while holding that way. Makes it much easier! While your spools and caps are drying, lay out all of your paper strips and start planning how you want to attach your beads. For the biggest impact, use varying sizes, shapes, and colors on each one. I used a lot of the same beads on most of mine, but mixed them into different drop patterns. Once all the paint is dry you can start putting the papers on the spools. I use heavy duty double stick tape for this, but you can use Mod Podge if you want. 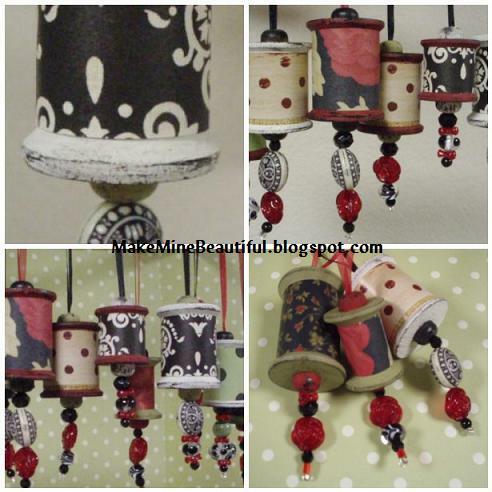 When you have the paper on, your spools should look like the one in the last picture. 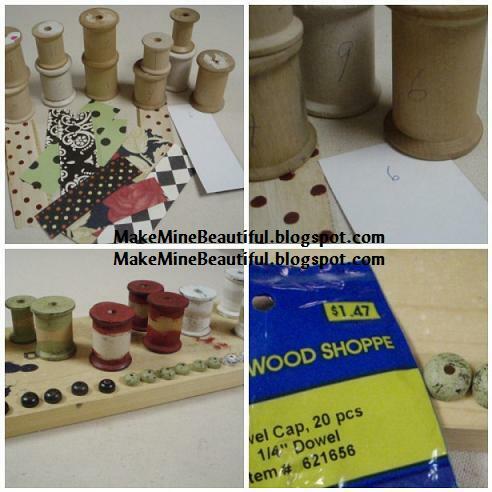 Now, glue a dowel cap to one end of each spool and set aside to dry while you thread the beads. This end will be the bottom of your ornament. 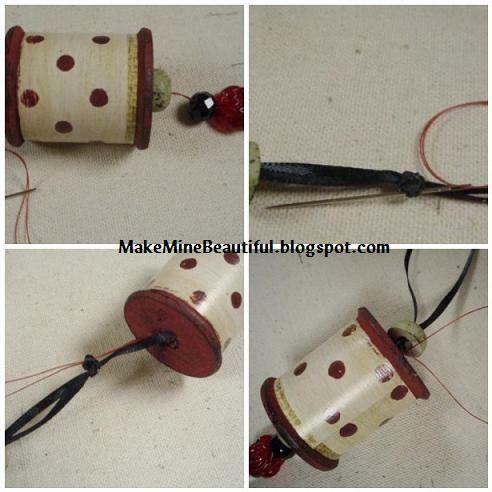 Take your jewelry wire or heavy thread (I use upholstery thread), and begin to thread your beads. When you get to the last bead, wrap the thread on the outside of the last bead and start to pull your needle back through the others, all the way to the top. Leave enough thread or wire that you can go back to these later and pull them through the spools. Set all of your prepared bead drops aside. Take the rest of the dowel caps, prepare a hanging ribbon and push it though the small hole. Knot the ends several times until you have a knot big enough to hold without pulling through. It's time to start threading the bead drops into the spools. Use the needle that has a thick enough eye for the thread, but thin enough shaft to push through all those knots in the ribbons. I use my pliers to pull them through. Once you've threaded the beads through the spool, grab one of your hanging ribbons, and push the thread through the knot in the ribbon. Next, remove your needle and pull the thread (one in each hand) until the knot is sitting right at the top of the spool. Then tie a few knots in the thread. Cut it off, leaving about 1/8" tip on the threads. Now that your knot is secure, put glue on the end as shown in the picture. Cover the ribbon knot, which will in turn cover the thread knot. Hang your ornament up and then push the dowel cap all the way down. Let it hang until it dries. When you're all done with that, you're all done! those spool ornaments were totally adorable the first time I saw them and they still are. Thanks for the detailed tutorial on how to make them. These are so beautiful!! Elegant and amazing! I want to try this project next year! I have the spools but not the time right now! Thanks for the inspiration. Hi Polly. I am so glad to see you here again. 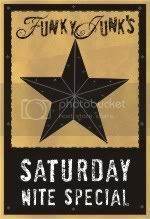 I check in often hoping you have had time to post. Glad you are okay. I loved these the first time around and they are well worth repeating. Hope you have settled in to your new home and will have time soon to show us around. Blessings to you and your family this Christmas. Oh what a great idea! 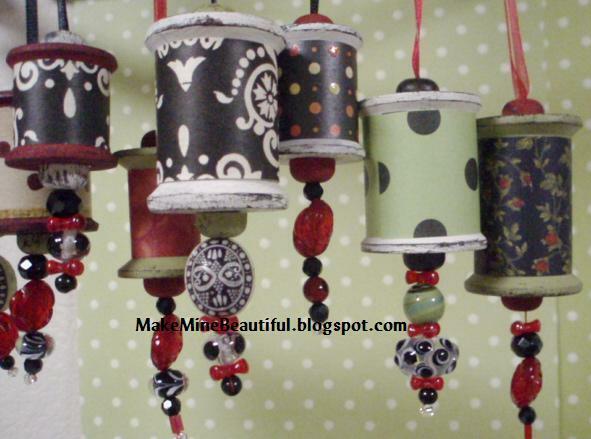 These are just so cute and will be such fun to make for Christmas this coming year.